GetUWired releases "Landscape Marketing Strategy 101: Finding Your USP"
The blog highlights an important part of marketing strategy for landscaping business owners. An interesting USP that offers benefit to consumers can be integrated into marketing materials as part of an effective landscape marketing strategy. Finding a business' USP is integral to an effective landscape marketing strategy. GetUWired, a small business marketing firm specializing in Infusionsoft, has just released a blog article titled "Landscape Marketing Strategy 101: Finding Your USP." The blog can be seen here. Part of any effective landscaping marketing strategy is to set one's business apart from the crowd. 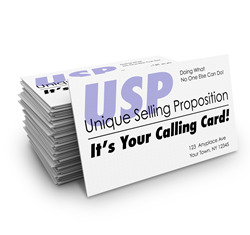 Finding the business' unique selling proposition, or USP, is one way to do that. Every business is unique in some way and has a USP. Without a USP, a business will be judged mostly on price, which makes it too easy for competitors to come in and sweep away business by offering a lower price. What is the business best at? What does it specialize in? What services does the business offer than no one else offers? What types of customers does the business service most? What aspects of the business are different from competitors, such as years in service or local ownership. Once a business has a USP, it is integral to integrate that USP into blogs, content marketing, email marketing campaigns and social media posts to get the word out to the public. The USP should definitely be used to create a memorable tagline for the company. Hiring a professional copywriter to come up with some tagline options is a worthwhile investment, as the company tagline will become the second most recognizable piece of marketing for the company after the company name itself. For more information, visit http://www.GetUWired.com or call 877-236-9094 today.